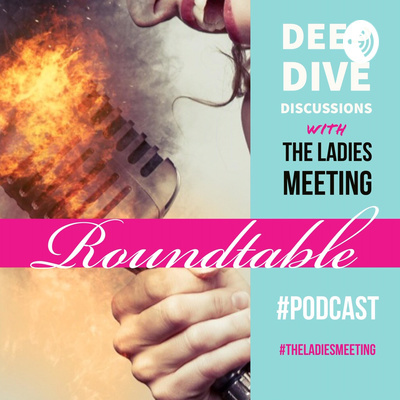 Welcome to The Ladies Meeting Roundtable Podcast. This is a place we will talk about everything from bodies to the boardroom, life from the beginning, the bumps in between, and what is beyond. We will talk about glass ceilings to broken windows and just crushing it in business and life. Want to talk about boyfriends, girlfriends, lovers, partners, children found and children lost, bring it here! Want to know how to become a host and member of The Ladies Meeting, subscribe and read disclaimer here. Check us out on the website or come and meet us in person in Vancouver for lunch! Another episode of good friends, and new ones, a ton of laughter but a great topic to talk about for those of us over 40 and wanting to make it our best years, with great sexual relationships! Learning to love ourselves as we age, sharing our stories and learning love can be great as we age. We speak with Marcy Schater and the group about how food, good sleep, and our surroundings affect our health as we age. Tonight we talked with Marcy and her crew in Dallas as well and had a special guest speaker on hormones and your adrenal glands. Did you know there is a solution to minimizing the effects of menopause, she offers up many options, some tests you can have done and a path through the aging process. Today we are talking about hormones food and more! This week on the podcast Marcy will be talking about what hormone balance requires, we will be discussing how healthy digestion, stable sugar levels, and a healthy liver affect how hormotional you get! 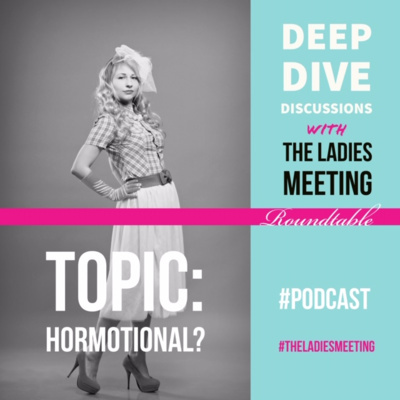 If you have been wondering how you if your allergies, anxiety or weight gain might be an effect of your hormones tune into Marcy Schacter with other women discuss this topic all women need to be talking about! The topics will range from how women can experience depression and mood swings during menopause, sleep disturbance, short term memory problems, and low libido. If any of this things make you curious to know more please join us! We are led by The Ladies Meeting member, Marcy Schacter on a great discussion on menopause, hormone health and aging. We are talking about what happens to all of us women, it is good to share stories, experiences and how " the change of life" can go. It is different for everyone from " she barely noticed" to "oh the sweats and tears" There will be 6 more episodes. Keep listening and learning! Want to know how you can lead a round table discussion then find out about how you can become a member at The Ladies Meeting.